You may think your factory seats are holding up just fine. What you may not realize is how much abuse your seats are getting from wear and tear, sun damage, pets, or dirt and spills. All these problems have a simple solution, seat covers. So, why should you get a set of seat covers? There are many reasons. You can protect your factory seats, get a custom look for your interior, or cover up existing damage to your seats. 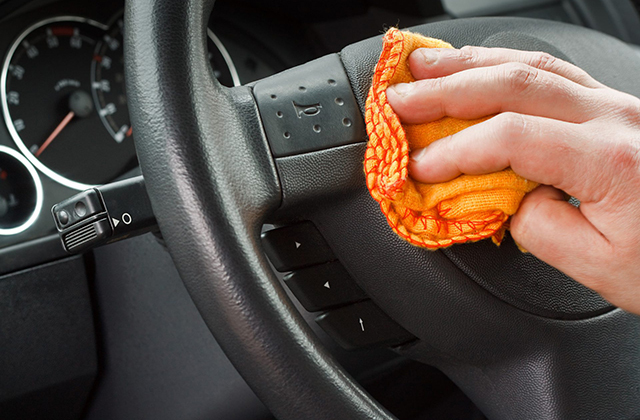 They are also a great way to keep your interior looking new and clean. A leather protector provides moisturizing against sun damage and aging. But, how do you decide which seat covers are right for you? This reference guide will help you through the decision making process and make sure you get the seat covers that best fit your needs. Think about it, what do you have the most contact with in your vehicle? It’s your seats, and they need to be protected. If your seats get dirty, or something gets spilled on them, it’s a pain, and a hassle to clean them. Seat covers put an end to that. Most can be put in the washer and dryer so there is no need to buy expensive cleaning supplies to get stains and dirt out. If you have pets, you know it’s a chore to vacuum the seats to get all the pet hair off them. What about their nails? You don’t want them to poke through your new leather seats do you? A seat cover provides a protective barrier to keep your pets from scratching, or poking holes in your nice seats. Another problem you face is UV damage. That’s right, the suns powerful rays claim the lives of many seats. When the sun shines in your vehicle it is magnified by the glass from your windows. That’s why it feels like an oven on hot summer days. Imagine what that does to your interior. If you have leather seats, the sun dries them out, which can lead to cracking, and a dull finish. That means you have to continually condition your seats to protect them. This can be time consuming and expensive, both which can be avoided with seat covers. Don’t think any of that affects you? Well, you get in and out of your vehicle every day. Even this has a negative effect on your seats. Every time you get in and out of your vehicle you create friction between yourself and the seat. This may seem like nothing, but after some time you will notice the material getting thin and worn out. Next thing you know, you’ve worn a hole through the material, yet another problem that can be prevented. Factory interiors are often boring and mundane. Vehicle manufactures use solid, neutral colors that make the interior seem more open. You can add flare and a look that really sets off your interior with seat covers. They come available in standard factory matching colors with solid patterns, or, you can get something that’s different. We have many colors to choose from, as well as patterns that you won’t find in a dealer’s showroom. So, not only do you get great protection, but you also get a custom look and style, that really sets your vehicle apart! It’s inevitable, bad things happen to good seats. But you can do something about it. Whether or not you have worn out faded seats, they got stained, or dirty, seat covers provide a solution. They do just as they say, cover it up. Seat covers hide those unsightly stains and dirt spots and give your interior a fresh new look as if nothing ever happened. And, if the same happens to the seat covers, well, just wash them and put them back on. Think of how much money you will save by not having to reupholster your seats. Now that we have identified why you should get seat covers, let’s see what works best for you. Seat covers come in two primary fitment types: custom fit and universal fit. If you are looking for a seat cover that is going to fit your factory seat perfectly, then a custom fit cover is what you need. These are custom made per vehicle application and fit your factory seat and shape very tightly. Custom seat covers take into account factory headrests, armrests, center consoles, and seat controls. If you are looking for something you can throw on quickly and you’re not too concerned with it fitting perfectly, then a universal seat cover will work just fine for you. The cover the entire seat back and bottom but are not designed to fit tightly as a custom fit cover would. These are great for quick on and off usage. SureFit covers are available for many hard-to-find applications. These are semi-custom fit covers that are made-to-order per vehicle application. SureFit seat covers come in six different styles with many color options available. Cambridge Tweed – For traditional tastes, Cambridge is similar to original vehicle seats. Woven textured, synthetic fiber will provide miles of protection. Spot clean with a damp cloth and mild solution of fabric cleaner. Saddle Blanket – A rugged style seat cover made of tightly woven olefin. Extremely durable and comfortable. Saddle Blanket covers are machine washable, drip dry only. Deluxe Velvet – A contemporary original interior fashion in durable 100% nylon velvet, quilted with foam backing. Trimmed with color coordinated stretch fabrics. Easily cleans by machine washing, and drip drying. Deluxe Mohave – A stylish southwestern fabric. It is an extremely durable 100% olefin fabric with a soft foam backing which blends with many truck and car interiors. Spot clean with a damp cloth and a mild solution of fabric cleaner. All Purpose Real Tree® – Made from rugged yet breathable non-woven polyester fabric. It is one of the most popular camouflage fabrics available. Real Tree covers are machine washable, cool air dry for cleaning. Easily resists fading, stains and mildew. Sheepskin – A luxurious one-inch thick pile with a high luster finish. Sheepskin covers are fully lined. Come in a full fit design with 100% acrylic back. Must be dry cleaned only. We do not recommend for use with light colored leather interiors. Custom tailored, made-to-order seat covers that are made from original automotive grade fabric. They come with factory matching colors, and have a lifetime guarantee. Get the look of expensive seats at a fraction of the cost. These seat covers give your factory seats a sporty look. Sport seat covers are made from neoprene, the same waterproof material wet suits are made of. Sport Seat Covers also have an extra layer of soft foam padding for added comfort. You can choose from seven different color options. Sport covers are machine washable on the delicate cycle with cold water, air dry. Easily installs with Velcro strips. These rugged covers are designed to repel dirt and stains. These are made of high quality original manufacture grade canvas material and can easily be cleaned. These are washing machine safe to make clean-up a breeze. Come available in factory matching colors. Keep your seats looking new no matter what ends up on them. Messy kids and dirty pets are no match for these heavy duty seat protectors. These covers are made from a breathable cotton/poly blend, which are washer and drier safe. Available in tan, taupe, navy, charcoal, or gray to complement your vehicle’s interior. Protect your seats with the extreme style of our X-Bound Seat Covers. These universal fit covers add a custom accent to any high back bucket or bench seats with or without headrests. Nylon cord side lacing keeps a tight fit. Covers come with front, side, and back pockets for storage. X-Bound covers are available in blue/black, red/black, gray/black, olive green/tan, and mossy oak camo. Deluxe Seat Protectors are made from heavy-duty vinyl, coated with nylon, which makes these seat protectors waterproof and ready for emergencies. They slip over your seats in seconds for quick protection when it’s needed the most. These are perfect when traveling with pets. Extra large bucket pattern fits most bucket seats. It is important we are given the correct vehicle information. Please be sure to check your seats carefully. We need to know exactly what seat style you have in order to get the correct pattern made. We will also need to know if your vehicle has armrests, headrests, seat controls, and a center console. By getting accurate information you can be assured your covers will fit like a glove. Will Mahoney is an automotive junkie who lives in Cleveland, Ohio. He likes racing autocross and tinkering with trucks and cars. He currently writes online content and articles [http://www.stylinconcepts.com/articles] for Stylin Concepts [http://www.stylinconcepts.com], a leading retailer of truck accessories [http://www.stylinconcepts.com], suv accessories, seat covers, floorr mats and any other aftermarket truck and SUV accessories.